We are so excited to introduce you to the Children's Ministry at Mt. Zion Baptist Church—Mz Kidz. It encompasses all children birth through the 6th grade including the entire preschool and children's ministry. I (Beverly Brantley) am the Mz Kidz Director, and Sheryl Hill is the MZ Nursery & Pre-K Coordinator. 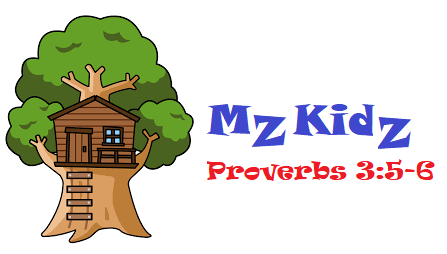 We’ve developed a new logo so you can easily identify communications from Mz Kidz. We’ve added classes, a Christmas play (possible summer play), camps, and MZ Preschool Blasts and/or MZ Kidz Blasts. Theses blasts are extra activities that will take place on weekends or during the summer months. For advance planning, there is a calendar under development that will be distributed soon so that you can plan for these fun events. I (Beverly) am a firm believer that children need to be introduced to our Savior as early as possible. Proverbs 22:6 says, "Train up a child in the way he should go: and when he is old, he will not depart from it.” I was blessed to have been introduced to Jesus at an early age. I don't know where I would be right now if my mother hadn't taken me to church. I was blessed enough to have grown up in and to have raised my children in a Bible-believing church that had very active Preschool, Children's, and Youth ministries. We want to offer our children at Mt. Zion the same opportunity we had as children. The life verse we have chosen for this ministry is Proverbs 3:5-6, "Trust in the Lord with all thine heart, and lean not unto thine own understanding. In all thy ways acknowledge Him and He shall direct thy paths." How can you help? There are several activities that require numerous chaperones. If you are interested in serving with us or being a chaperone for any of these events, please feel free to contact me. And, if you would be willing to serve in the Nursery, Mrs. Sheryl would love to hear from you! 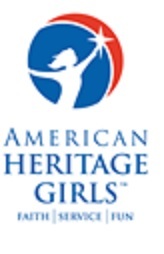 American Heritage Girls (AHG) is available for girls Grades 1-6 (Tender Heart & Explorer). AHG enables girls to experience new challenges, serve others, make new friends, and have tons of fun, all in a safe, faith-filled environment. Whether your daughter wants to learn more about aviation, learn to paddle a canoe, or ice the perfect cake, AHGs program is ready to inspire her to new heights. 4&5 Year Olds: The four and five year olds meet for music, games, and fun while learning about the one true king. Bible Skills, Drills, & Thrills uses a fun format to teach children in Grades 1-6 Bible skills using games, crafts, recreation, service projects, drama. Using these activities and more helps children learn the books of the Bible, the divisions of the Bible, Ten Key Passages, Bible verses, Bible stories, and Bible history. Children will also learn to retrieve verses in their Bibles. The four and five year olds meet for music, games, and fun, while learning about the one true king.